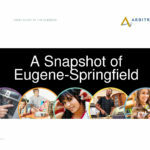 This article originally appeared on Radio Ink, reposted with permission of the publisher. 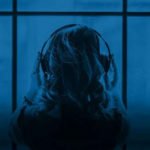 That’s according to a 2019 prediction report released by Deloitte Global, which also predicts radio revenue will hit $40 billion in 2019, an increase of 1% over 2018 (and more than half the global radio revenue). 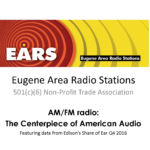 As iHeart CEO Bob Pittman, Entercom CEO David Field and many other CEO’s have been saying, the report says, radio is commonly underestimated. “Radio is the voice whispering in our ear, in the background of dinner, in an office, or driving in the car. It’s not pushy or prominent, but it’s there. The report also explained why advertiser still love radio, although we always want more to love us. 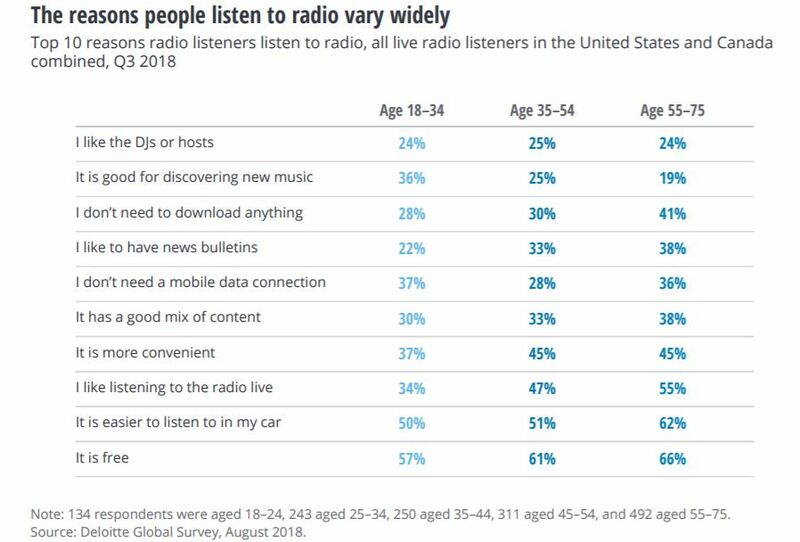 “A major reason advertisers still like radio is its demographics, pointing out that radio listeners are working, are more educated and have higher incomes. 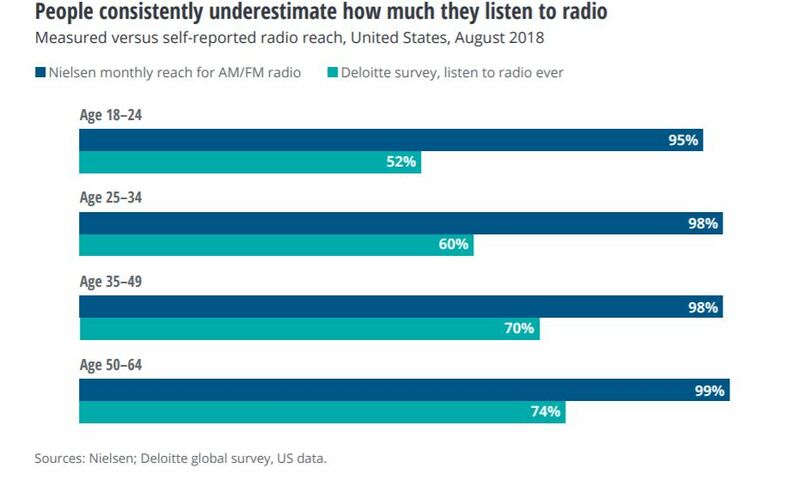 The bottom line, according to the Deloitte report is that radio is not going away, “and should be a big part of the ad mix for those buying advertising.” The report concludes by saying that to attract more ad revenue, radio needs to do a better job disseminating the reality behind radio’s resilience. “The industry itself is partially to blame for these misunderstandings, and an aggressive campaign of myth-busting – always backed up by hard evidence – will likely need to be a key strategy for broadcasters.” In other words, radio needs to be telling a better story – a mantra we’ve heard for at least the past 5 years now.